Busy Bee Tools Ottawa Garage Sale this Saturday Sept 30th! Thread: Busy Bee Tools Ottawa Garage Sale this Saturday Sept 30th! 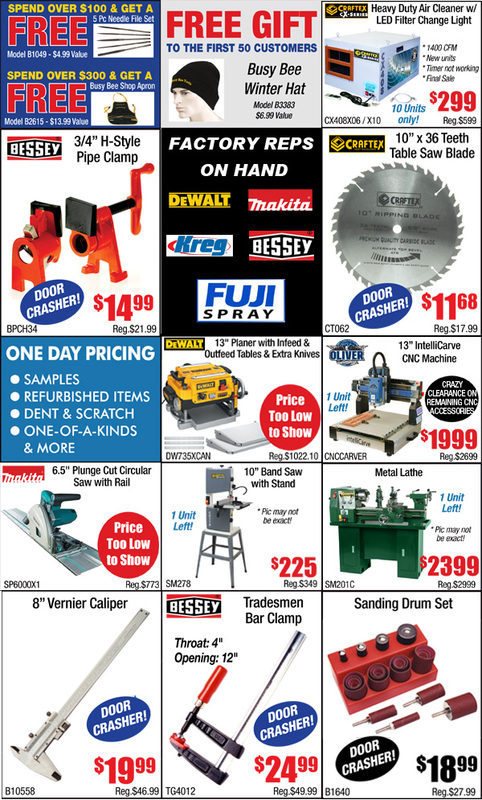 The Busy Bee Tools Ottawa Store is having their annual Garage Sale. Once a year pricing, dent, scratch machinery, refurbished, samples etc.. Check out the flyer for this Sale that is taking place on Saturday September 30th, 2017.